Sharkoon presents the T5 Value, a new budget case with a side window and a front USB 3.0 port. It should be available in retail stores for around 54.90EUR. 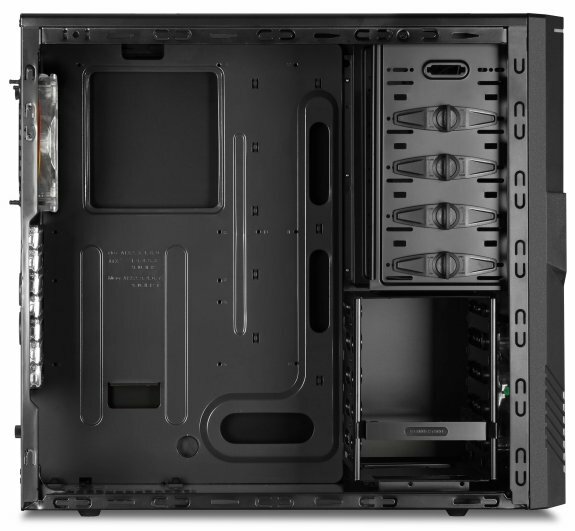 Sharkoon expands their range of ATX cases and complements the T-Series presented in March: The Sharkoon T5 Value is equipped - in contrast to the already available Sharkoon T5 Economy - with a front USB3.0, two pre-mounted 120mm LED fans and an acrylic window on the side panel. The black interior lacquer sets a stylish scene with the installed hardware. Besides both T5 cases, all models in the Sharkoon T-Series include nine 5.25" installation bays: The Sharkoon T9 Value with acrylic window, colorful lacquered main board mount and three 120mm LED fans is available in four colors. 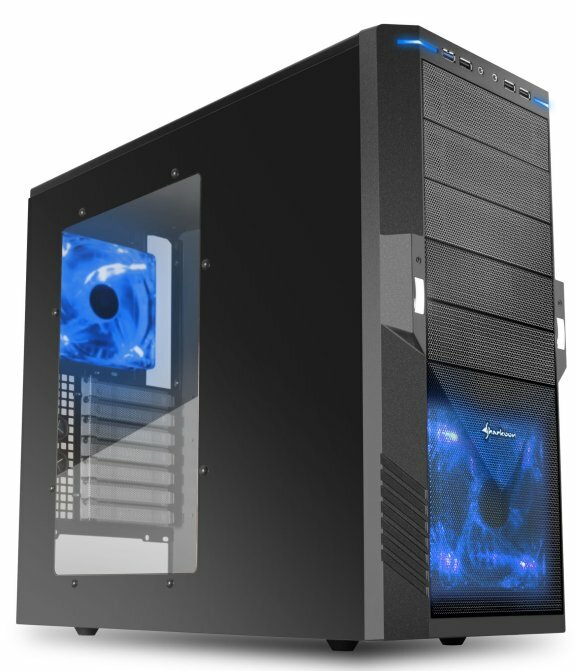 The lower priced Sharkoon T9 Economy in black does not include the acrylic window or pre-installed fans.